In this level, Gordon has made his way down to the beach, and finds himself trapped inside a strange carnival where he must win four non-combat carnival games. All of the games could be played multiple times, even after being completed. A light on each signalled if the game had been completed successfully. 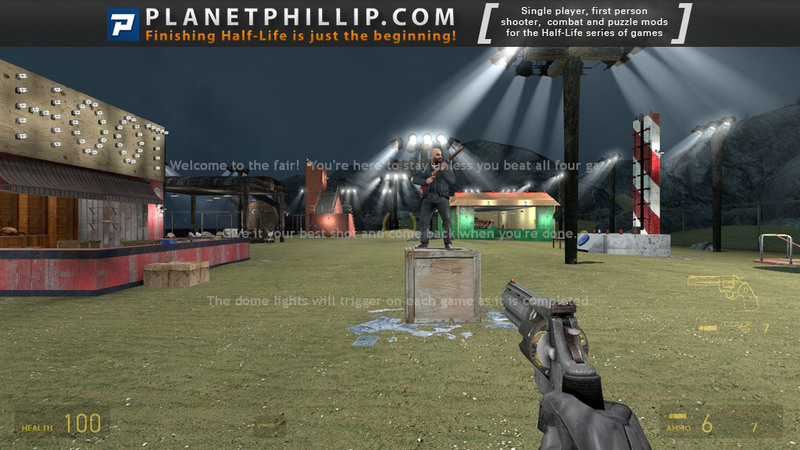 Copy Bowling_OnTheBoardwalk into your Half-Life 2: Episode Two Maps folder. Open the console and type map Bowling_OnTheBoardwalk. I wasn’t going to even add this to the site but cover it in an Around the Community post. That was until I sucked at one of the games and had to shoot some zombies. It then fitted the criteria. Anyway, as the author’s description says, it’s a change of pace from the usual combative stuff, but it’s not exactly fun or exciting either. That said, it is inventive and may amuse you for 10 minutes. I found some of the mechanics buggy and I won a few games without being awarded a win. Obviously, not the end of the world, just frustrating. You can shoot a few antlions if you want but you can’t get out of the area without cheating. That said, I didn’t try stacking the creates up by the fence, if you can even move them – I can’t remember. Anyway, the fact I am talking about “escaping” should tell you something about the map itself. Only for HL junkies and Carnival lovers. it’s a freebie and an amusing little distraction for a few minutes. If only Gordo would have stumbled into this place during “Episode 2”. It would have been so surreal during all that serious gunplay! How about a creepy carnival set map mod competition, something surreal and dangerous, but fun to. 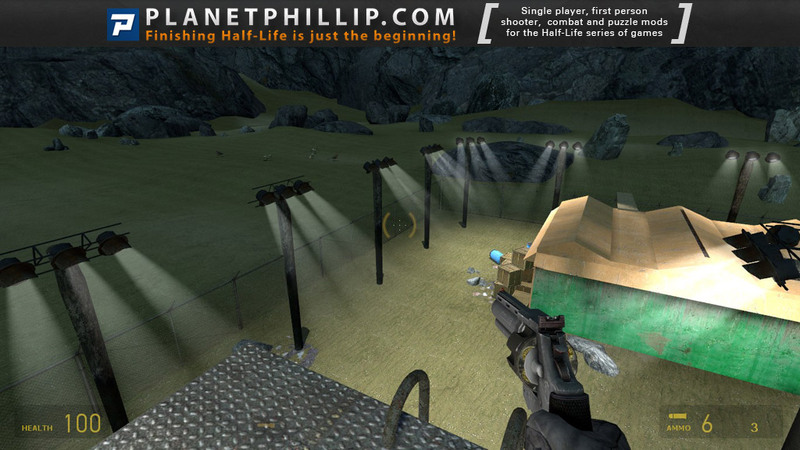 I think I played a Half-Life mod like this some year’s back. 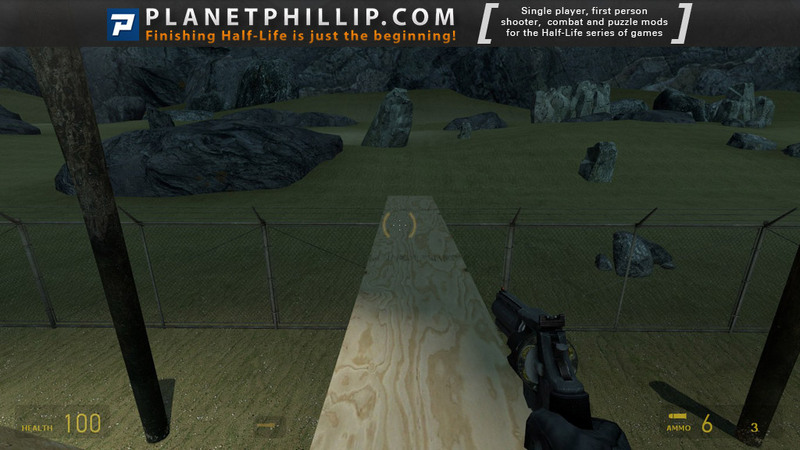 I think I played a Half-Life mod like this some year’s back. Which one it was? ?, Please tell us so we can play it too, that sounds really interesting…. Sorry can’t think of the name, it was a few years ago. 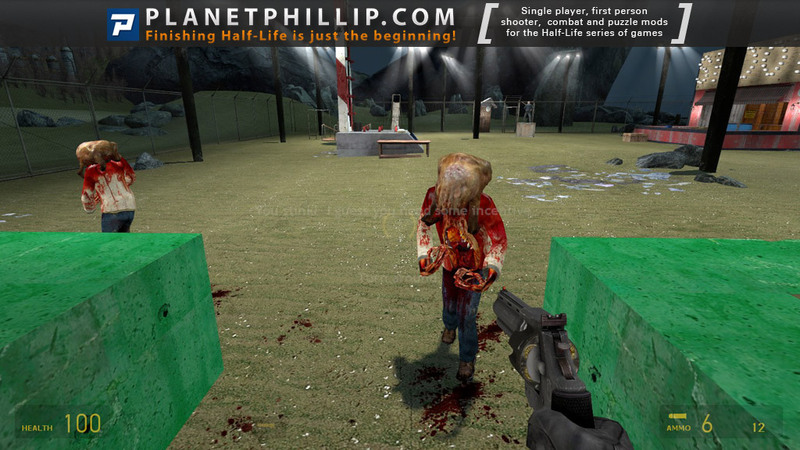 it was on a disc on a PC Gamer magazean part of a Half-Life mod bundle. Yes! That’s the one! Thanks for reminding me. 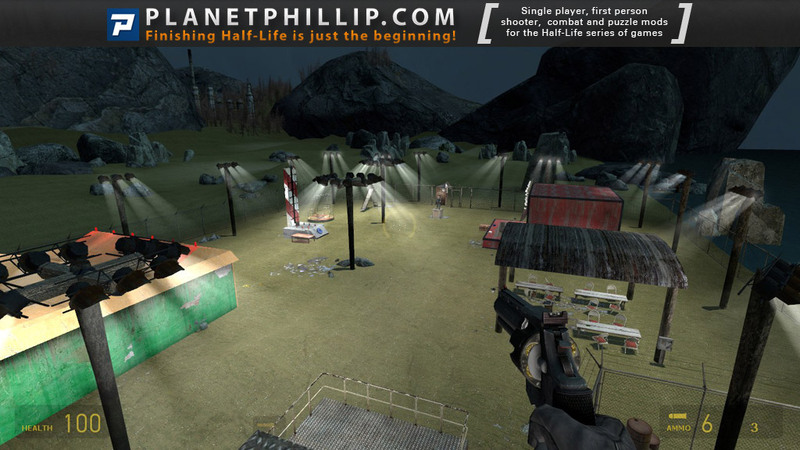 One day, I want to recreate the Dark Carnival campaign as a single-player mod in HL2 and make it feature Gordon Freeman, Alyx Vance, Barney Calhoun, and Father Grigori. Instead of a Tank showing up, it would be packs of Combine hunters. I like the idea of it being stuck in the middle of a regular HL battleground, but, I’d have liked it if it had been a bit harder. 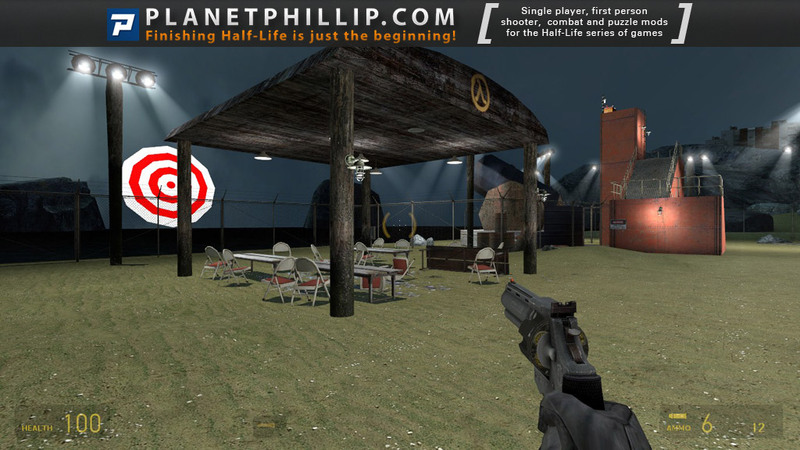 OK this is creative for me, and I think is allright to have a break after all that combat we’re used to as HL gamers as i’ve allways said, so is cool for that and I mean this is the kind of maps that u can play where u have play all stuff released, so I liked because of that and because that strange HL carnival was just one of its kind. This is a map in which I definitely had some fun with, but the execution is mostly just OK. The idea of a carnival concept is pretty odd as far as HL mapping goes, but you know what? Why not. Anyway, the minigames are mostly fun but they were really buggy, especially the last one. I could also see some antlions. Was I supposed to fight them? 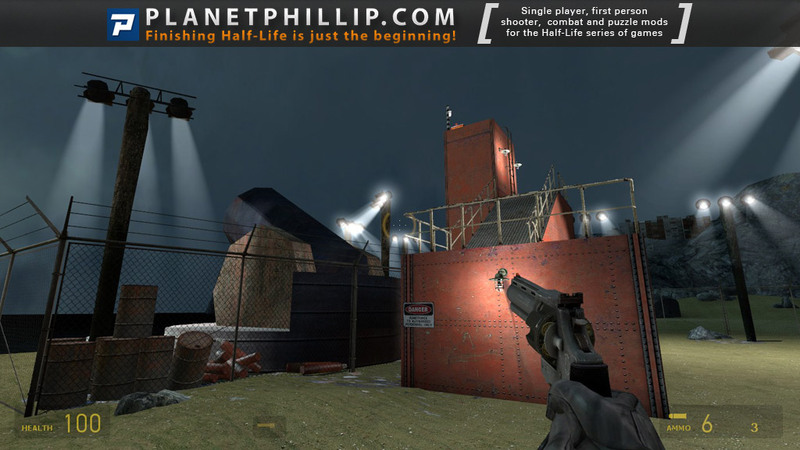 Overall, this is a nice change of pace when it comes to HL2 maps. 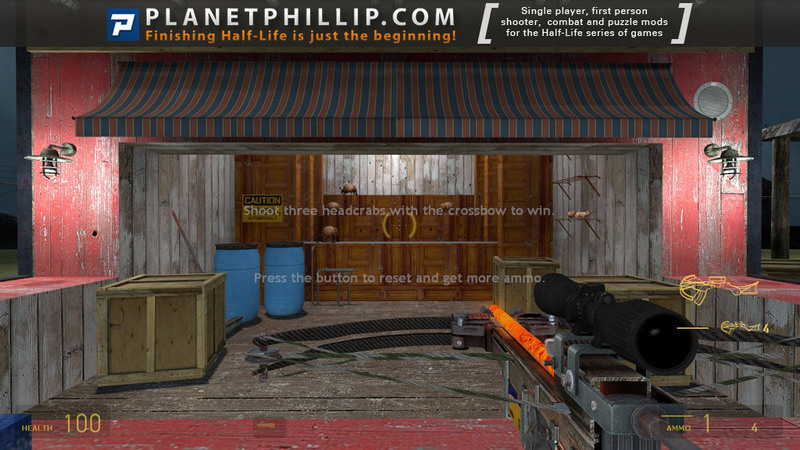 I say play it, but if you’re more into classic HL2 action, then you’re probably not gonna like it.